Wanna be a DJ? Already a DJ? Try out all the latest DJ Equipment from the leading brands. 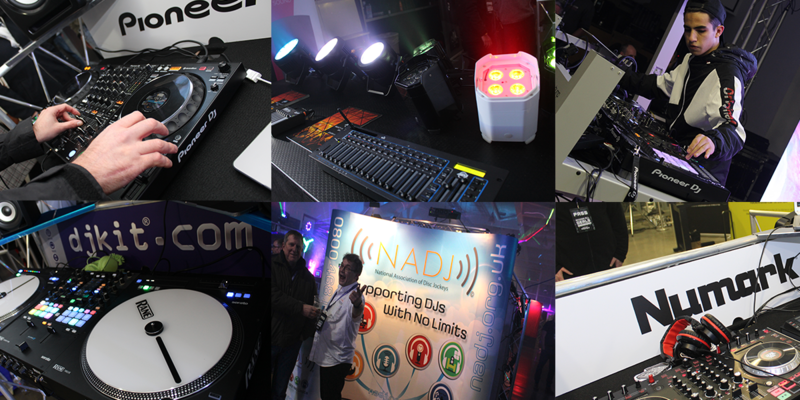 DJ Zone: Get hands on with all the latest DJ Equipment. Music Production Zone: Get creative on all the market leading Music Production Equipment. Learning Zone: There will be a number of different learning zones to give you all the tips and tricks from Industry product specialists. 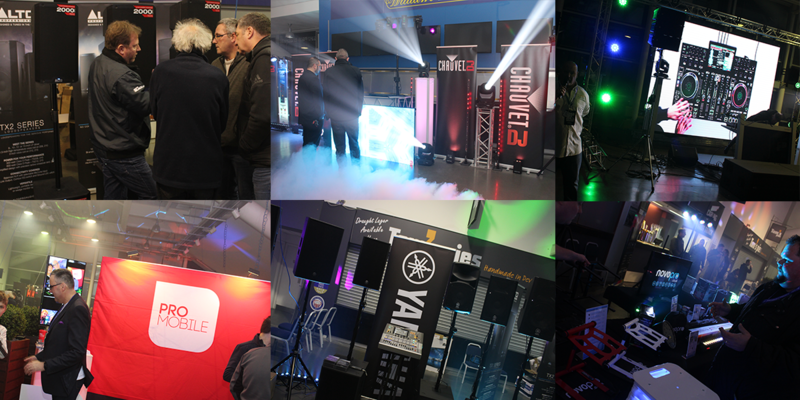 Lighting & FX Zone: Test out all the latest Moving Heads, LED Screens, Smoke Machines plus much much more. PA Zone: Serious about PA, over 1200sq foot of sound systems big and small from the leading suppliers. Social Zone: Network with the best in the business with great advice from the leading associations in the Industry. Retro Zone: First ever DJ Museum! a vast collection of retro DJ equipment going back through time to when it all began. the DJ Show Store: Remeber to bring your wallet our retail partner DJKit.com will have fully stocked shelves with exclusive show deals on EVERYTHING at the show + more. Newbury Racecourse in Berkshire is conveniently situated in the centre of the South of England, easily accessible from Junctions 12 and 13 of the M4, from the M3 and A34. The Racecourse has its own railway station with full details on available services below. Sat navs use the postcode RG14 7PN for the easiest access route. 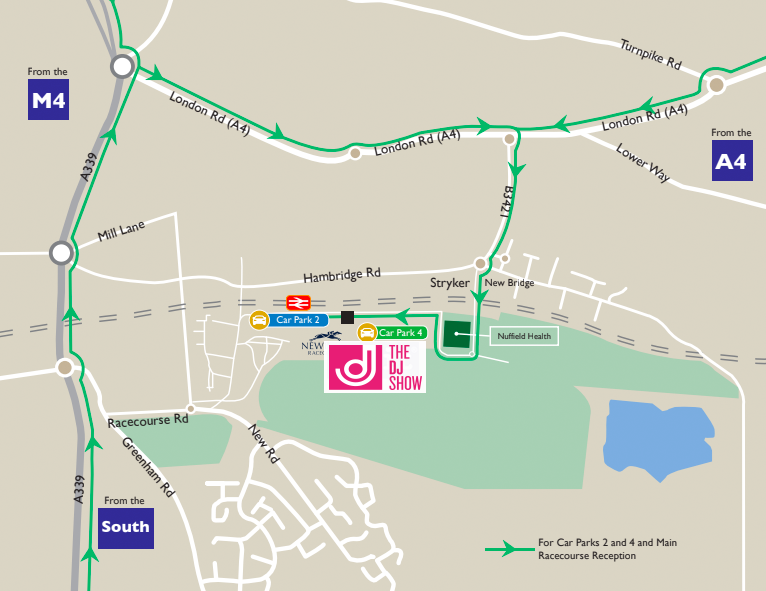 The racecourse is clearly signposted and just minutes from Junctions 12 and 13 of the M4, also easily accessible from the M3. The course is clearly signposted from the M4 and from the A34 South of Newbury. There is ample FREE parking which will be clearly sign posted. The racecourse is within an hour of Heathrow and Southampton airports. We also have a helicopter landing area. However use of this is strictly by prior arrangement only with the Clerk of the Course. Please call the racecourse on 01635 40015 for details.